At Hallmark Volkswagen, we value our involvement in the Nashville, Tennessee, community. That’s why we strive to provide every customer with the excellence and commitment you’ve come to expect from us. At our Volkswagen dealership in Madison we provide a constantly updated inventory of new Beetle, Jetta, Passat, Golf models and more, and used Volkswagen vehicles, and do so with our commitment to customer service, no-hassle, no-obligation sales process, and by treating all our Nashville area customers like family. Since we’ve opened our doors, we’ve continued to earn our customers’ trust with our wide selection of high-quality cars, first-rate service, and a no pressure commitment. From the classic VW Beetle to the New 7 seater VW Atlas, we provide a variety of New and Pre-Owned Volkswagen for sale. Our staff has continued to strive for excellence in everything they do. All of the members of the Hallmark Volkswagen sales staff are trained to be an expert in everything about each Volkswagen vehicle that occupies space in our showroom or sales lot. Furthermore, they can also explain the features and specifications of each Volkswagen vehicle that makes it a better value than the competition. Our commitment to you doesn’t end when you drive off our lot. Our on-site auto parts and VW car repair center will keep your Volkswagen running as reliably and efficiently as you need it to be for as long as you own it. Even though Volkswagen vehicles are among the most consistently reliable on the road today, this doesn’t happen on its own. The best, and most cost-effective way, to keep your vehicle running in peak condition for as long as possible is to bring it in for regular service at Hallmark Volkswagen. Our team of factory-trained technicians is ready to handle anything a customer can bring to us. 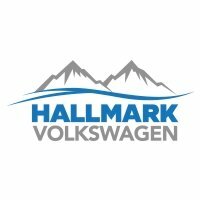 Everyone at Hallmark Volkswagen understands that you have better and more important things to do than to wait around our (really nice) waiting area for your vehicle’s work to be completed. We promise that we will let you know an estimate for the amount of time it should take to complete all repairs and maintenance work. The only thing more important that being fast is being accurate. Trust. Excellence. Commitment. That’s the Hallmark way — and our promise to you. To enjoy a whole new automotive experience, contact us online, call us at (615) 859-3200, or visit us at 2431 Gallatin Pike North, Madison, Tennessee.